This Resin has the highest heat distortion temperature of all of our resins and can be used up to 230F. 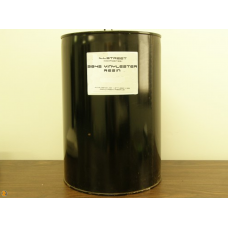 Vinyl Ester resin is superior in every property as compared to all polyester resins. This product is used in high performance applications in which high-strength and maximum heat tolerance is necessary. This resin is extremely chemical resistant when cured. Similar in strength to epoxies with much increased stiffness. Polyester resins are the most commonly used matrix in the marine and composite industry. These resins are styrene-based, flammable and catalyzed when combined with Methyl Ethyl Ketone Peroxide(MEKP). When working with these resins in large projects it is advised to use gloves and a chemical respirator to protect yourself from the fumes. These resins can be used with any type of fiberglass, carbon fiber or kevlar, as well as used over urethane foam and other sandwich core materials. These resins tend to be fairly rigid when cured and also more brittle than epoxy resins. All resins and gelcoats are sold without wax(sanding aid): If needed you can purchase surfacing wax separately for use on finishing coats. Unwaxed resin can be re-coated with little to no prep work but will leave a tacky surface. Mix the wax(sanding aid) with your resin only on your final coats in order to allow easy sanding. 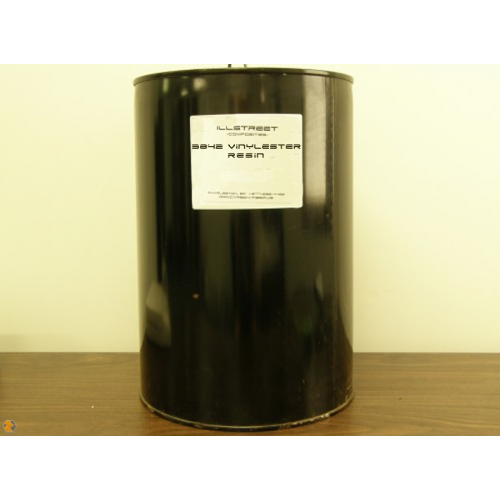 Catalyst/Mixing Ratios: All resin prices include catalyst. 1 Quart= 1ounce, 1 Gallon=2ounce, 5gal=6ounce. The amounts included can be varied based on your temperature and desired curing times. Cooler temperatures may require a higher % of catalyst than warm conditions. If additional catalyst(MEKP) is needed please order separately. Because polyester resins are a flammable liquid, we are unable to ship these products by air freight. Quarts and Gallons can be shipped by Ground with no extra fees with a maximum of one gallon per box. 5 Gallon pails can be shipped by UPS Ground only and require an additional $30.00 Hazardous Fee. Orders for multiple 5 GAL pails can be shipped by a common carrier(freight line) but require delivery to a commercial location.